Stock Photo of the Icebreaker 260 Tech Top. I have another long term review – and one that I know a lot of you have been waiting a long time for me to do – and this time it is on the Icebreaker baselayer clothing. I just recently passed 800 days (update: January 2016, I have now passed 1,300+ days) of wearing the Icebreaker Tech T Lite Short Sleeve Tee and over 500 days of wearing the Icebreaker 260 Tech Top (I technically had the bodyfit 260, but that name brand was discontinued and is now just called the ‘tech top’) and for about a month I had a Icebreaker Long Sleeve Chase Zip Top that I somehow lost at some trail town and quickly replaced with the Tech Top, which I am glad happened as I just did not like the design of the Chase Zip Top. 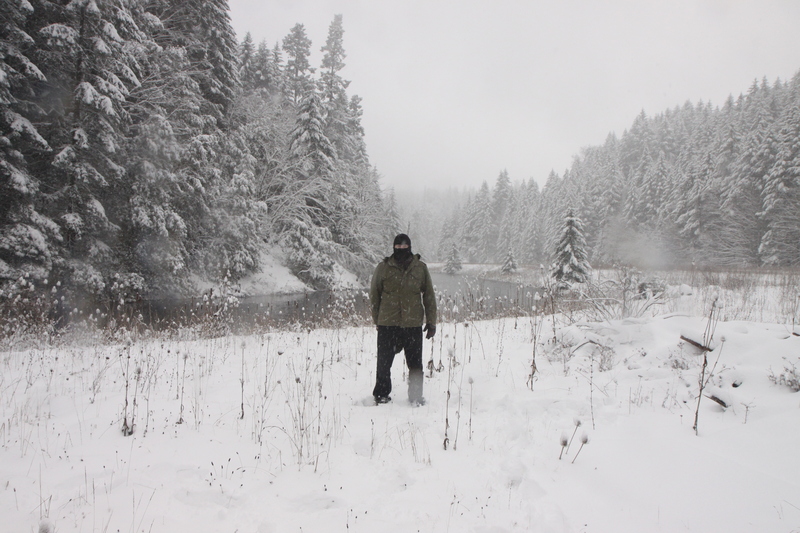 For those of you that have to trust and enjoy my long term reviews – and by “long term’ I mean ‘long term’ – longer than any other active outdoor gear writer – I wanted to get this article published for those of you preparing for your next winter hiking season. Both of these garments have proven themselves to me to be the absolute best base layer top garments I have ever owned. It took me a number of years of wearing other top base layers and just not being happy with them to finally spend the above-average costs for these two garments, but now, three years later, I am still wearing them (and I am at this very moment) and plan to keep wearing them until they give out. I hope you enjoy this review – it has been a long time coming. Sorry for the delay for those that have been waiting, but at the same time, I do enjoy my long term useage of gear before writing a review on gear! While not visible, on this crazy cold day of hiking in the snow along a river, I was wearing both the Icebreaker Tech T Lite Short Sleeve Tee and the Icebreaker 260 Tech Top. All of us are different when it comes to performance standards, so I will just take the three aforementioned questions and answer them. Is the weight worth the warmth? When it comes to the Tech T weight is not really an issue, it is one of the lightest short sleeve t-shirts I have ever owned at 90 grams / 3.17 ounces. The other next-to-skin garment I use is the Mountain Hardwear ‘Way2Cool Tank’ and it is, amazingly, heavier at 110 grams / 3.88 ounces, which shows just how little the Tech T hits the scale at. 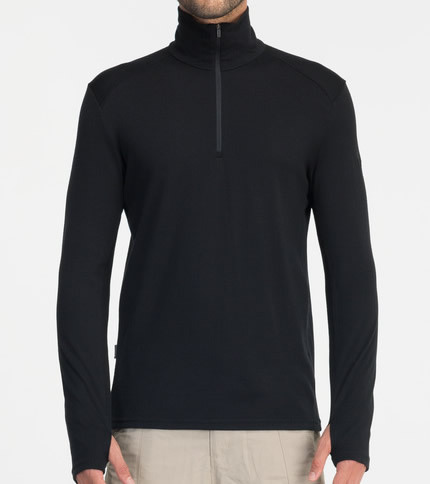 When it comes to the 260 Tech Top it is a whole other story – it is the heaviest merino base layer I have ever owned at 226 grams / 7.97 ounces. The weight to warmth of the Tech T is absolutely worth it. It does an excellent job of being a next-to-skin layer. For a good part of the summer I wear only it, and slip on my Montbell Tachyon Wind Jacket, 2013 Edition or my ZPacks Rain Jacket when I need either of them during the day. When the sun starts going down or if the weather just turns cold I will put on the 260 Tech Top and use it as my thermoregulation layer. Does it work across a broad difference of weather conditions? Yes, both the Tech T and the 260 Tech Top perform in all weather conditions where they are warranted to be used. When I am hiking in Death Valley and other very hot locations they are obviously outside their boundries of warranted use, but most other locations I hike at I have been wearing the Tech T-shirt. As indicated above, there are a few times when going with a full-on down jacket just makes more sense. However, in really cold weather I take the Icebreaker Tech T-shirt, the 260 Tech Top and the Montbell Mirage Parka, which gives me all of the warmth I could need for the type of weather that I encounter, and for only 678 grams / 23.91 ounces / 1.49 pounds. If the weather is on the hot side (80°f or hotter) I typically swap out the Icebreaker Tech T-shirt for the Mountain Hardwear ‘Way2Cool Tank’ as I find the Tech T-Shirt to just be a bit too hot for my likes. If the weather is in the 40-60°(f) range I am commonly wearing both the Tech Tshirt and the 260 Tech Top, as that seems to be the range that I find comfortable for wearing both of them – YMMV of course. Wearing both the Icebreaker Tech T Lite Short Sleeve Tee and the Icebreaker 260 Tech Top while talking with Ron Moak from Six Moon Designs. Durability on these, considering the amount of days I have wearing them, is surprisingly good. The Tech Tshirt has a few holes along the bottom, where I tend to grab it to take it on/off. Seems my fingers have pushed through the fabric a few times when taking it off. Beyond these few finger size holes along the bottom seam, the Tech Tshirt is in excellent condition. Remember that this is a 150 gm fabric and it is very common for 150 gm 100% merino wool to have this issue. The 260 Tech Top has had one small hole right below the thumb loop on the right arm. This is a result of my pushing my thumb through the fabric, trying to get it into the thumb loop and missing. It is not noticeable in any way, except if my thumb happens to catch it when putting the shirt on and I happen to stick my thumb through the hole. I will say I was surprised this happened as 260 weight merino wool typically does not have this problem. All in all, on the durability side of things, I have been extremely happy given the 800+ days for the Tech Tshirt and 500+ days for the 260 Tech Top – that is an amazing 2+ years (if I wore it every day) for a 150 gm 100% merino wool t-shirt and almost a year and a half (if I wore it every day) for the 260 Tech Top. There is no doubt that the cost of a 100% merino wool baselayer scares off a lot of potential buyers – and the higher than normal prices that Icebreaker charges makes them even more pricy. In a recent bit of research done by ProliteGear, the Icebreaker 150 T-Shirt and Icebreaker 260 Bodyfit scored the highest possible results in their testing – and were the only two base layers that scored a complete success out of every base layer they put up against them! They beat out the Patagonia Capilene 4, and the Rab Meco 120! I want to specifically point out this research and its results because it is important to understand that while the Icebreaker might be one of, if not the, most expensive baselayers in the hiking garment market, they are priced higher because they are the best out there. 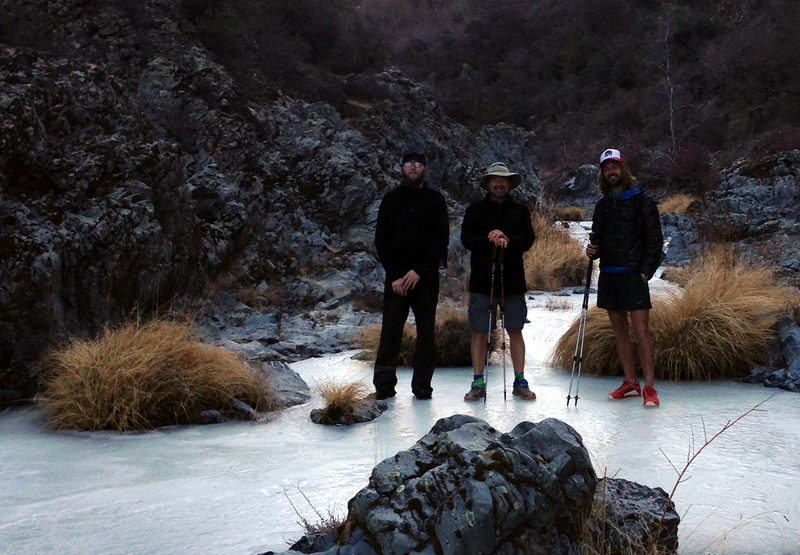 Wearing both the Icebreaker Tech T Lite Short Sleeve Tee and the Icebreaker 260 Tech Top while hiking on a river of ice with Shroomer and Bobcat. The drying time for the Icebreaker Tech T Lite Short Sleeve Tee is surprisingly fast given it is 100% merino wool. No, not as fast as some of the hybrid garments that are out there, but fast enough given it is a t-shirt. When it comes to the Icebreaker 260 Tech Top it is a slightly different story. While this garment did win out in the research done by ProliteGear, in regards to being the top garment for not saturating out, when it does finally saturate out (be it from rain, washing it, or falling down while crossing a river, or such) it takes a rather long time for this heavy base layer garment to dry out. So much so that I do everything I can to make sure it does not get saturated with water while hiking. It is simply not one of those garments you can hang up at night and expect it to be dry the next morning – at least here where I live. It also ends up being really heavy when it is saturated, because it is holding so much water inside of it – even if you wriggle it out by hand. Compared to a Patagonia Cap 4 the Icebreaker 260 is probably twice to three times as long of waiting for it to dry out. This is just something to be aware of. The Icebreaker Tech T Lite Short Sleeve Tee can start to get a bit stinky after a few days of wearing it while out on the trail, but what next-to-skin garment does not under such situations. I have never, in my 500+ days of wearing the Icebreaker 260 Tech Top found this garment to stink from wearing it. That is a whole lot of fabric/material that would have to get saturated with stink. The Icebreaker Tech T Lite Short Sleeve Tee has proven to be extremely useful as a next-to-skin while wearing a light midweight layer such as the NW Alpine Black Spider Hoody. In fact I have a spare one of each sitting in a drawer for if either of the ones I have been wearing finally give out to a point where I just could not wear them any longer. The really big question comes not from the Tech T Lite shirt as that is a no-brainer when it comes to buying another one. Where the big question really comes into play is would I buy another Icebreaker 260 Tech Top over the most recent version of the Patagonia Cap 4 Expedition Weight 1/4 Zip Hoody, which I tend to feel is the one base layer that can really give the 260 Tech Top a run for its money. Putting aside the whole issue of whether or not you like wearing a hoodie (I think they provide a role in locations with a lot of cold wind) I think I would most likely make my next purchase be the Cap 4 Hoody, but only because I really really want to give it a go and put it through the same type of use and abuse that I have the Icebreaker 260 Tech Top. If I had to buy one or the other, and only one, I would still go with the Icebreaker 260 Tech Top. 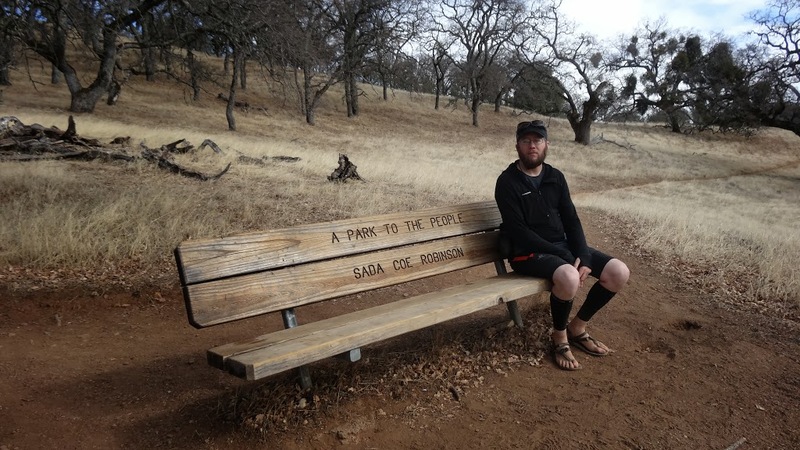 I do not know of any other hiker that has reviewed these garments. If I come across anybody that has I will add them here. The Icebreaker Tech T Lite Short Sleeve Tee and the Icebreaker 260 Tech Top are two of the top baselayers on the market. Time after time in reviews performed by those with testing labs conclude the same. With over 800 days of wearing the Tech Lite Tee and over 500 days of wearing the 260 Tech Top I feel I have put them through enough use to also be able to say these are top-end garments. While they can seem expensive, as I have pointed about, these garments are priced based upon quality. Their ability to handle every situation you can throw at them, their lack of itching or discomfort that lesser quality merino wool has, their amazing durability, their ability to handle not becoming saturated, their ability to not stink, their lack of shoulder seams (I hate garments that places seams on top of the shoulder and rubs your shoulders raw from your backpack straps), and most of all, that even after all I have put them through, I still put them on day after day regardless of whether I am out on the trail or at home – simply put, these are truly exceptional pieces of base layer clothing. ‹ PreviousJiva Coffee Cubes – Hiker Worthy Coffee? I 100% agree about the incredible durability and quality of the Icebreaker Tech T. I own 2 shirts and use them as baselayers for my trail runs, peak bags, overnighters, and extended trips. I’ve used them all the way up to 100 degree heat. They feel great against my skin. I’m 6’2″ 186 pounds and the size L has a normal fit without being too baggy or tight. In fact I recently returned from a trip where daytime highs peaked at 97 degrees and used the Tech T as a baselayer under a long-sleeve nylon shirt. I needed the long-sleeve because of sun exposure and we did some serious bushwacking. Sure I sweat a lot, but the combination kept me feeling comfortable and I never felt like I was going to overheat. I understand some people might be turned off by the initial price, but I consider it a bargain when looking at it from the perspective of how often I use this product. It goes with me on every outdoor pursuit. Not many other outdoor products do. Keep up the awesome reviews! You are one of the few voices I trust owing to your long-term usage reports. Spot on John! Been using exact garments on many a trek……everything asked for and more. Simply the best! And like you, I have trawled through lot’s of other’s: other merino; synthetic and hybrid over decades. I find Merino too hot and holds sweat too long and the price is crazy compared to a £3 synthetic wicking T that does the job of keeping me cool in the summer (wicks sweat away much faster IMO) and dry and warm in the winter. The only benefit I have found is the lack of stink – which IS a genuine plus but is it really worth the price? its just this – it doesn’t WICK well enough. So you end up with a damp lower back etc. I take 2 cheap synthetic Ts and wash in rotation. weight penalty yes, but DRY and therefore WARM. I’m a big fan of the Tech T 150. Living in hot climate it serves me well as both a summer only layer and as a winter base layer. I’ve had one out of 3 get holes in the back. I also wear their 150 and 200 tights and long sleeve for sleep wear and base layer. I’ve found Icebreaker comparable to my Smartwool garments as far as wear, durability, odor, price, weight, etc. 100% merino is all I’ll ever wear as a base layer. I watch for sales. IMO the Patagonia synthetics do not compare. I can’t regulate like I can with Merino and they stink! John – As you know, I’m a Kiwi and NZ is the “home” of Icebreaker and Merino Wool – I would not use anything else. Thank for giving one of our biggest exports a great plug! Their underwear is also good, but does wear out quick. They are now doing insulated jackets using Merino instead of the usual down. I don’t know the weight. Suspect it will be heavy. I will get into a shop this week with my scales! They do have water resistant outer, but the upside would be you could get it soaking wet and still be warm. 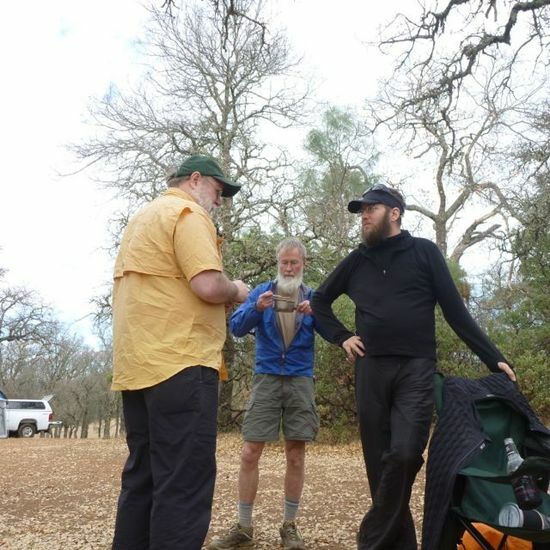 I have an icebreaker base layer 200 that I’ve worn for about 3 years now when I hike and travel, and even in the winter sometimes as pajamas, and what you say is so spot on, it is a great piece of gear. And it still looks only a month or so old, which is more can be said for anything else I wore this much. Do not be turned off by the price. Very few pieces of clothing will lat like this one does. The web site Get Rich Slowly also advocates for this brand and they will do anything to save a buck. Little hint, once in awhile Icebreaker runs some clearance sales. Since I use this mostly just as base layers I really don’t care much about the colors, and most of their colors are good anyway, that works for me. So watch for those sales, they just ran a New Year’s clearance sale. I got a tank top for 14 bucks. I have one small complaint with my shirt. And that is that is does itch me. I must have REALLY sensitive skin because I don’t think I’ve ever see anyone else complain about this, but I do feel a slight itch. Not like a big scratchy sweater, but enough to nag me a bit especially when I first put it on. I’m currently experimenting with “conditioner” treatments to try to take away that slight itch, like spraying it with vinegar, or putting it in the freezer. I’m hoping that helps an otherwise PERFECT piece of gear. John, I’m trying to determine the sizing of the Icebreaker Tech T. I have a few short sleeve Patagonia Merino 1 t-shirts that are just too short with my taller torso and won’t stay tucked in. What is your experience with the length of the shirt compared to others? I have only seen the 29″ measurement online which is the same as the Patagonia equivalent. For as far back as I can remember, the IB TechT and the Mountain Hardwear ‘Way2Cool Tank’ are the only two t-shirts I have used for hiking, so I got nothing else in the hiking-t-shirt-world to compare them too. Sorry, cannot help you out on trying to solve this one. The Tech T is fantastic. I was able to get four of them at considerable discount last year. I have worn them in Sub zero temps up to low 90’s in Hawaii and everything in between. They are my favorite shirts. I enjoy wearing my Tech T but after three weeks of continuous use on there JMT I cannot wash the stink out of it. I’ve even used Mirazyme. It was suggested to me on BPL that the nylon portion of the blend used in this shirt is where the stink is at. I have had many Icebreaker t shirts since the very beginning. They seem to be more stretchy and a bit shorter (or maybe it’s cause they are stretchy and ride up a bit). I believe they performed better in the early days. I have always sworn by wool clothing and will always wear. Very disappointing now made in China and hence I will look at other options from now on.